It’s hot out there! 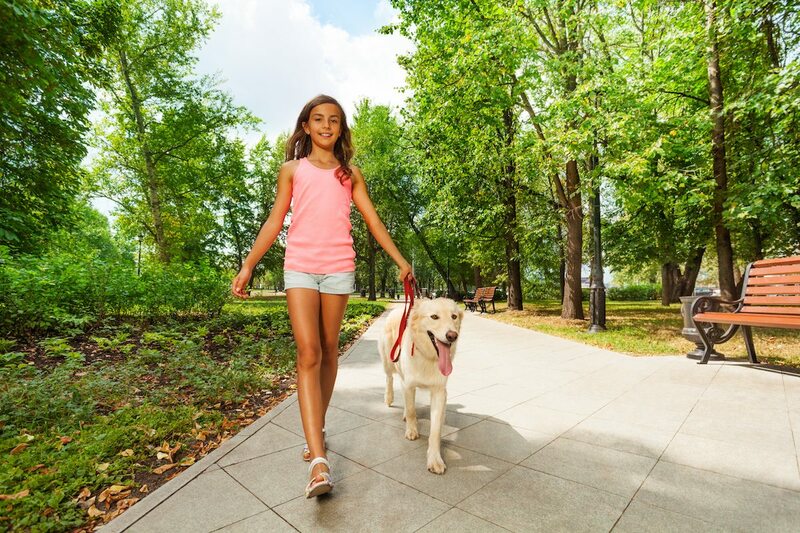 The summer heat has set in, and that means pet owners need to take some precautions when it’s walk time. You’ve heard the saying, “You could fry an egg on the pavement.” Imagine walking barefoot on that same pavement. That’s what it’s like for your pets. 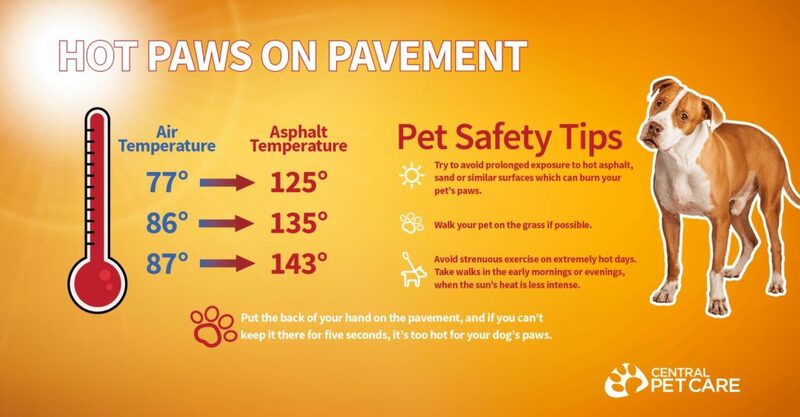 So at Central Pet Care, we put together a quick reference with safety tips to keep your pet’s tender paws safe from the blazing summer temperatures. Don’t keep this information to yourself. Help Central Pet Care spread the word about summer safety for our beloved pets. If you have any questions or concerns please contact our office today! Stay safe out there.